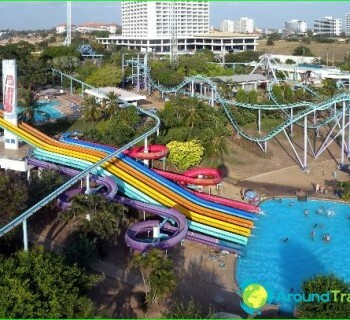 Pattaya - one of the most popular resortsThailand. This place attracts with its beaches, sights, bars and go-go dancing. It brings together different people to enjoy the maximum entertainment. Prices in Pattaya is lower than in other parts of Thailand. However, local beaches do not have such high standards as the rest of the resort areas of the country. Despite this, tourists tend to stay in Pattaya. It is easy to get here, and the rest - cheap. Pattaya annually serves more than 5 million. Campers daily. 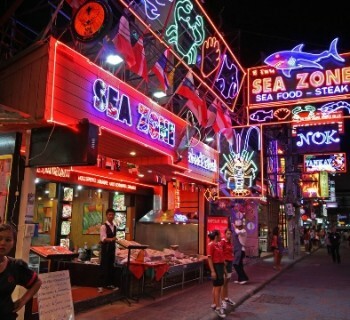 Pattaya offers a wide range ofentertainment and a huge choice of food. The resort is popular for its beaches, shopping, nightlife and entertainment. Tourists engaged in all kinds of water sports: jet skiing, scuba diving, sailing, windsurfing, etc. 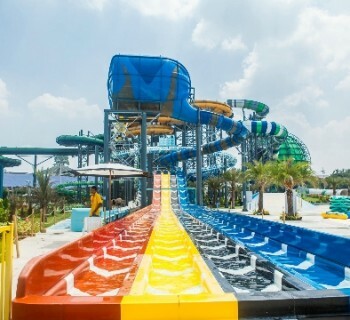 In addition, leisure available horse riding, shooting, golf, karting, etc. The first windsurfing lessons are available free of charge.... The three-hour course costs 1000 baht. Russians prices seem low in Pattaya. For a good dinner in the cafe will have to pay no more than 300 rubles. Ride a tuk-tuk costs 10 rubles. Taxi with air conditioning will cost 200 rubles, and the motorbike - 50 rubles. Excursions in Pattaya also have reasonable prices. Rental Price housing depends on the durationresidence. Payment will be taken daily, per month or per week. Daily you can reserve a car. The price will depend on the brand of car. For example, an older model Honda or Toyota is worth about $ 25 or 900 Baht. Taxi - about 500 Baht. Thus, a tourist for a week, spending about 3,000 Baht. Most of the resort is formed by hotels,Resort hotels and at various levels. Reservations can be made in advance or withdraw after arrival. The cost of the hotel depends on the prestige area, degree of comfort and proximity to the beach. The cheapest rooms offered by the hotel Citin Garden Resort. There you can stay for $ 20 per day. Tourists coming for a long time, remove the separateproperty: a small house, apartment or villa in a high-rise building. Double room with a fan can be rented for $ 10 per day. The hotel Ma Maison Hotel asking for a standard room $ 30. Bed and breakfast in an ancient castle Golden Cliff Resort, located on the sea shore, actually for $ 150 per day. Room for two in a five-star hotel Hilton Pattaya is 160 $.